Everyone remembers attending school but few of us know what school was like in British Columbia during our early pioneer days. Our early pioneer days had families moving west in search of better opportunities and inevitably these families wanted a proper education for their children. The nineteenth century in Canada saw the one room schoolhouse becoming not only an integral part of children’s lives but the community as a whole. 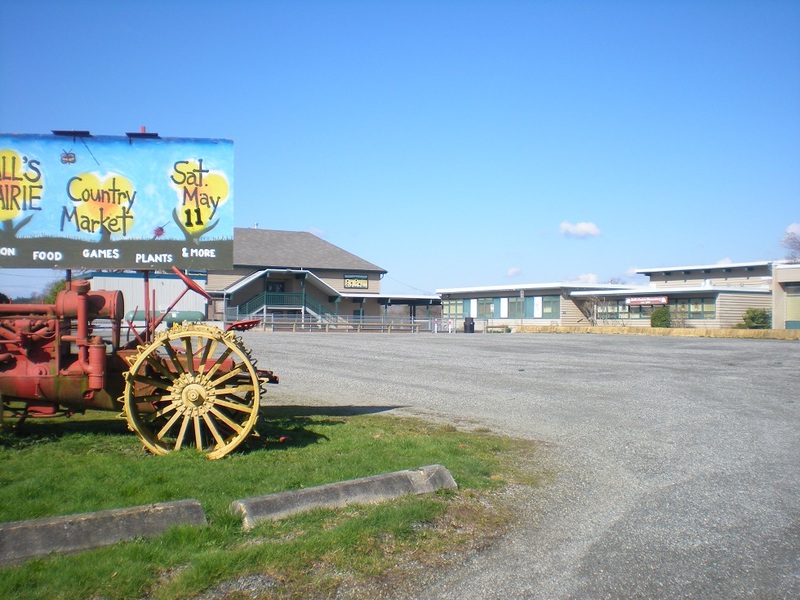 In Surrey, British Columbia, Hall’s Prairie Elementary School was one of the first schools to open back in the nineteenth century. 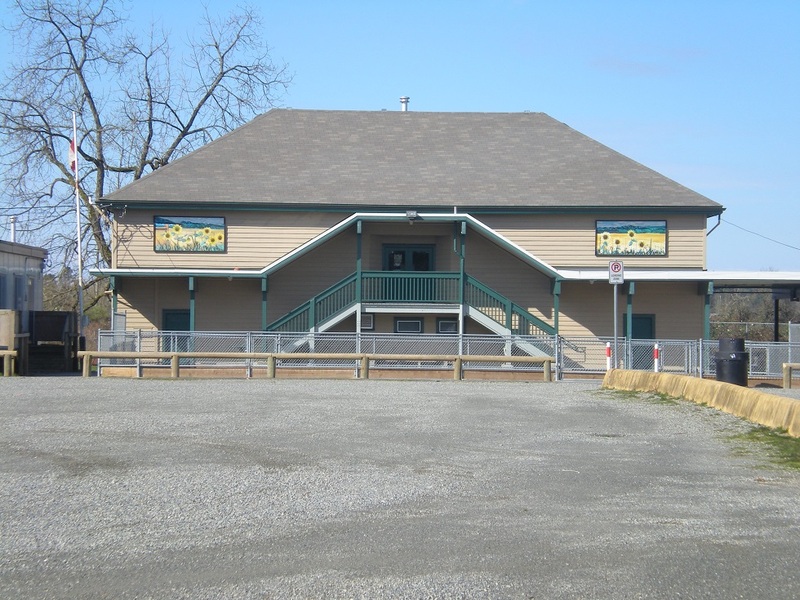 Although the original building no longer stands, the new building still serves as an elementary school that signifies the importance of education to a growing community. 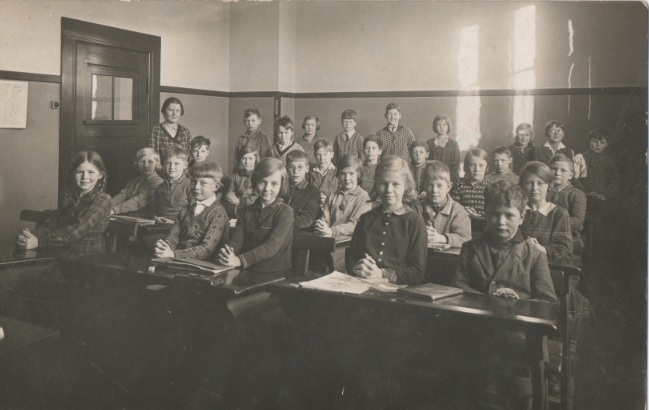 A Typical One Room Classroom from the 1920’s. Courtesy of Fiona Freer. The schoolhouse in nineteenth century Canada was an important part of the landscape. These schools served to educate the children of these rural pioneer communities. They were also a gathering place for the entire community. Residents would assemble in these buildings to discuss issues that affected everyone, from the building of roads to the further development of their community. They were also places to vote and even would function as a church if one had not yet been built. Even though these schools were an integral part of the community, getting them established could be problematic. Initially, the schools in newly settled rural communities were simply an abandoned building or even a tent. As these communities continued to grow, it became imperative that the school have its own building. In order to get a school built the entire community had to work together to pressure the government to fund the building of the school, provide the supplies needed as well as maintain it. Families were often compelled to donate supplies and time to build the school as well as items such as coal to keep it heated during the cold winters. By 1900, primary school attendance was compulsory in all provinces except Saskatchewan, whether inhabitants lived in rural or urban communities. Enrollment varied from as few as half a dozen children to almost fifty students. Nevertheless, the students were often packed into one room with only one teacher. The students learned a variety of subjects such as reading, writing, arithmetic and spelling. Lessons were also taught on history, music and literature. Since many of the families that immigrated out west were from a variety of different backgrounds, many were not native English speakers. It was hoped that these subjects would help assimilate them into Canadian culture. One Room Schoolhouse from the 1950’s. Courtesy of Fiona Freer. Even though it was compulsory for children to attend school, being in the rural west placed these schools in a unique situation. Families had immigrated into British Columbia with the primary hope of getting their own farmland at a cost they could afford. Large families with many children were common. Children were needed for farm labour and they often had to miss school for this reason. This sometimes led to extended periods of absences during certain times of the year like harvest time. The practice developed of schools arranging their vacation and holiday times in order to accommodate these absences. The weather out in the West was also a problem. The most common way to get to school was either by foot, horseback or horse and buggy making it difficult for students to travel to schools during winter storms and inclement weather. From time to time, students and teachers were forced to stay overnight in the schoolhouse because of a blizzard. Newspaper Article from The British Columbian Newspaper. April 7, 1884. The article is written by a locally known person: Henry T. Thrift. In the article it discusses the increase of settlement in the area. Courtesy of the Surrey Archives. Newspaper article from the British Columbian Newspaper. January 3, 1883. Courtesy of the Surrey Archives. The history of Hall’s Prairie Elementary School is an example of an institution that was an integral part of pioneer life in undeveloped western Canada. In 1845 a Hudson’s Bay employee named Sam Hall settled in what is today South Surrey with his Native Indian wife. Through the 1860’s the region continued to be sparsely populated. The area was named after him as one of the earliest settlers. It was not until 1879 that the area was incorporated into the growing Municipality of Surrey. Over the next decade the population of the area grew and in 1884 there were enough children that it was decided that a school should be built. With some financial assistance from the government, the citizens in the area began building their own school. Hall’s Prairie had the land donated as well as supplies needed for the building by its own residents. When it opened in 1885 there was only twelve students, one teacher and the education provided only went to grade five. At the end of construction, Hall’s Prairie School mirrored that of many others in the region. It was built in the shape of a typical nineteenth century one-room schoolhouse that was made out of wood. 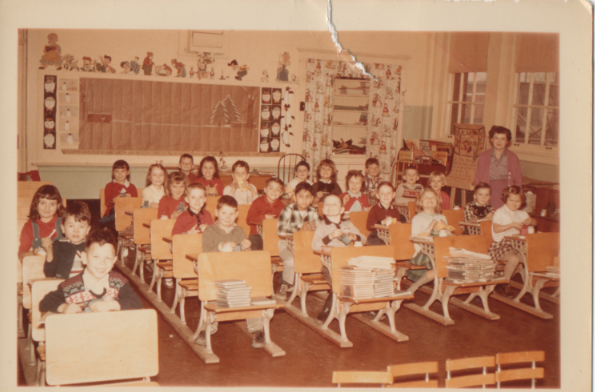 Students were seated at wooden desks and learned a variety of subjects using only a slate tablet and slate pen. The teacher had few supplies and the use of only one blackboard for all subjects as well as a bell that was clanged by the teacher to signal when classes started and ended. The school, like most homes, did not have electricity and instead it was expected that the parents would provide wood or coal. Similarly, there was no running water. When there was a need for water, it was necessary to travel to the nearest farm and use its well. Indoor plumbing was also not a feature of the school and outhouses had to be used. The school was also the community’s church on Sundays. During its initial years, Hall’s Prairie School had approximately twenty students and improvements were constantly being made to the school. Land was cleared and new fencing was erected. The population in the Hall’s Prairie region continued to grow and by 1892 a one-room schoolhouse was not enough. A new one room schoolroom was built that could provide education to around fifty students. The building that was reconstructed after the fire. Courtesy of Fiona Freer. The school continued to provide education to these pioneer families until an accident occurred. In the late 1920’s a fire at the school completely destroyed the schoolhouse. One possible explanation was from the caretaker trying to blowtorch frozen pipes during a particularly harsh winter. After this tragedy the citizens came together and a new school two-room school was built in the 1930’s. 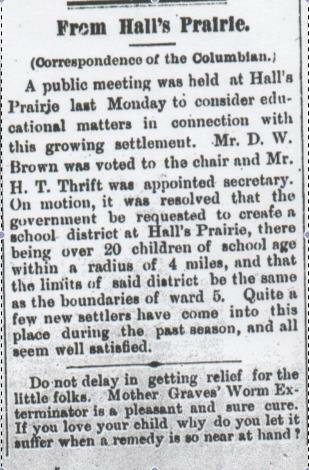 The population of the region continued to increase to a point that Hall’s Prairie could no longer support the growing student population all by itself and the 1940’s saw the building of three new schools in the region. Hall’s Prairie Elementary School continued to meet the demands of the growing population of South Surrey by further growing and expanding over the next sixty years. In 2010 the school celebrated its 125th anniversary, which acknowledged it as an important hallmark to the pioneer days of the City of Surrey. In celebration, the City of Surrey donated a thousand dollars to mark the occasion. For a week the school held different activities such as a country market, planted a commemorative dogwood tree, cleaning up of the stream beside the school and creating “a street of dreams fence.” The public was also encouraged to get involved during these events and learn about the history of Hall’s Prairie Elementary School. 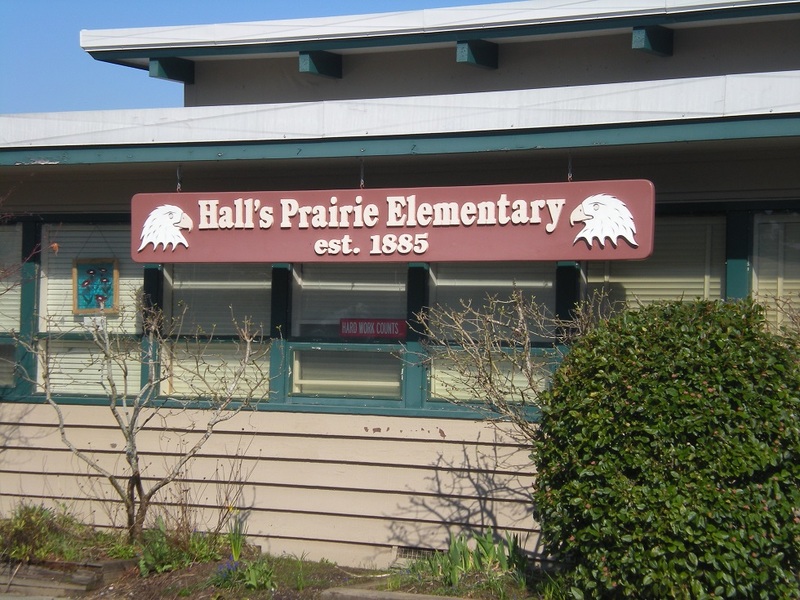 Hall’s Prairie Elementary School is important because if its rich history within Surrey. The school today exists not only as a reminder of our rich past but also works still to help cultivate our future. Although there is no evidence of the original building standing, part of the school that was built after the fire in the 1920’s is still standing and being used as part of the school. While there was a commemoration to mark the school’s 125th anniversary, there is no commemoration that acknowledges its significance on a continual basis. Most people living in South Surrey are not aware of the rich history behind the school. The school does receive local press because of its historic significance in the region and the continual need for improvements and upgrading because of its age. Recently the provincial government paid a substantial amount for the school to undergo seismic upgrades. While the history behind this educational institution is not widely known, what is widely acknowledged is the need for it to continue on as a place of learning. This is a government of Canada’s website about rural schoolhouses during the 19th and early 20th century. It describes different aspects of its history including what was taught, who attended and what life was like outside of school for the students. This website is done through the government of British Columbia. It contains many photographs of what early schools looked like, equipment as well as letters from teachers and students describing their experiences. This is a book written for young adults, although any age can enjoy it. The book contains diary entries of a young pioneer girl that emigrated from England to Canada in the 19th century. Although she did not settle in British Columbia, it is a fascinating look at what life was like for a young pioneer girl. This website is done through the Surrey Historical Society. It contains a brief history of the early schools in history including photographs and first hand accounts of what life was like. The site also contains other useful facts about early pioneer life in Surrey from initial contact with the Natives, to settlement all the way up to modern times. As part of the Surrey Historical Society website, this is a transcript of an interview done in the 1950’s f an early immigrant to the Hall’s Prairie area. This site provides interesting information on the history of all of Surrey. There are also interviews with people that attended Hall’s Prairie Elementary and lived in the region.